Since the creation of the Grants Program, Breckenridge Grand Vacations has grown our community support by donating over $1 million annually, distributed between employee assistance fund contributions, donations to The Summit Foundation and other local organizations, sponsorship of local charitable events, and in-kind spa and lodging certificates to several local charities, among other philanthropic efforts. Breckenridge Grand Vacations awards grants to local organizations during two annual cycles: one in the spring and another in the fall. During this year’s spring cycle, $111,500 was granted to three organizations in the health sector: Children’s Hospital, Summit Medical Center Health Foundation and Doctors of the World. From that total, $101,500 was allocated from The Rob Millisor Heart Health Fund. Eight human services organizations received a total of $77,750, including Building Hope Summit County, Boys & Girls Club of the High Rockies, and Domus Pacis Family Respite; while eleven educational nonprofits were awarded a total of $53,750, including Bristlecone Montessori School, Education Foundation of the Summit, and Lake Dillon Preschool. Seven other local beneficiaries received a total of $49,250, including Town of Alma, Breckenridge Music Festival and Friends of the Dillon Ranger District. In addition to charitable giving, Breckenridge Grand Vacations also supports our community by striving to be the employer of choice in Summit County. The company is one of the largest local employers with over 600 staff members, and was recognized as the #1 large Colorado business by the 2018 Denver Post Top Workplaces Award. Dedicated to the company’s passion statement, “Our Family Commitment: Always Grand Vacations!”, BGV has implemented a culture of excellence in customer service that develops and supports employees. Breckenridge Grand Vacations also has an active role in the community, and encourages its employees to get involved and donate their time through volunteering at local events and for philanthropic causes. Last summer, a total of 90 volunteers supported The Rob Millisor Heart Health Walk, among BGV employees and community members, contributing to the success of the event and raising more than $155,000 to fund heart health programs, education and research. “We feel very fortunate to have the opportunity of giving back to our community that we love and cherish,” said Breckenridge Grand Vacations Developer and CEO Mike Dudick. BGV’s Grants Program is managed by BGV Gives, a Breckenridge Grand Vacations program created to support nonprofit organizations in Summit and Park Counties through fundraising, sponsorships, grants, volunteering, and in-kind donations, with a focus on health, human services and education sectors. The company’s biannual Grants Program funds capital projects, special event sponsorships, programs, equipment, scholarships, educational materials, and general operating support, among other needs. Breckenridge Grand Vacations’ commitment to our community can also be seen in efforts such as funding the renovation of the Breckenridge Grand Vacations Community Center and a $250,000 donation to St. Anthony Summit Medical Center – which was a leading gift supporting the new Specialty Care and Infusion Center – among other contributions. To learn more about the BGV Gives Program, please contact Deb Edwards at (970) 547-8748. Founded in 2016, the BGV Gives Program was established to facilitate and further extend Breckenridge Grand Vacations’ philanthropic reach and impact in Summit County and the surrounding area. Inspired by the late BGV Owner/Developer, Rob Millisor, this charitable program honors his example of service to others by supporting the local nonprofit community. BGV is excited and humbled to continue Rob’s legacy of giving through fundraising, sponsorships, grants, volunteering and in-kind donations on behalf of those in need, with a primary focus on health, human services and education. 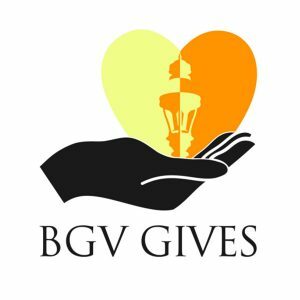 With guidance from the BGV Gives Program Manager, Deb Edwards, this program is committed to growing BGV’s local contributions and inspiring fellow community members to give more by providing resources and opportunities to help others in need.